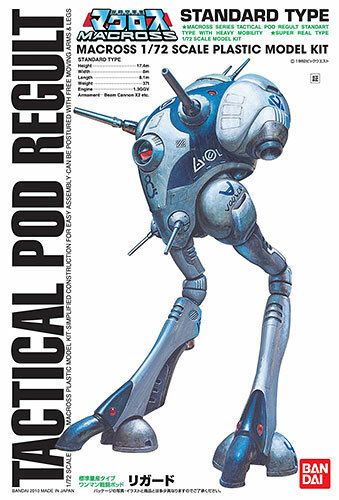 This came out last year, the 1/72 Tactical Pod Regult from the original Macross SDF-1 anime. The original version was made by Imai and came out in the 80's. 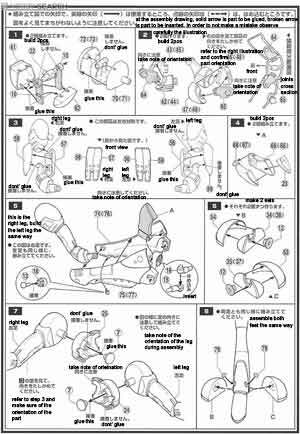 This time around Bandai bought the molds from Imai and reprinted it along with the other Macross kits. 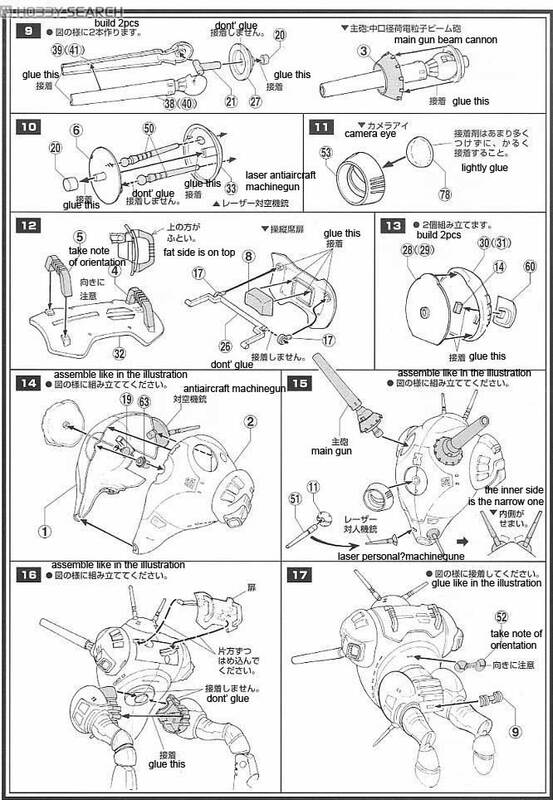 Judging from the manual there are some parts that need to be glued and some don't need. 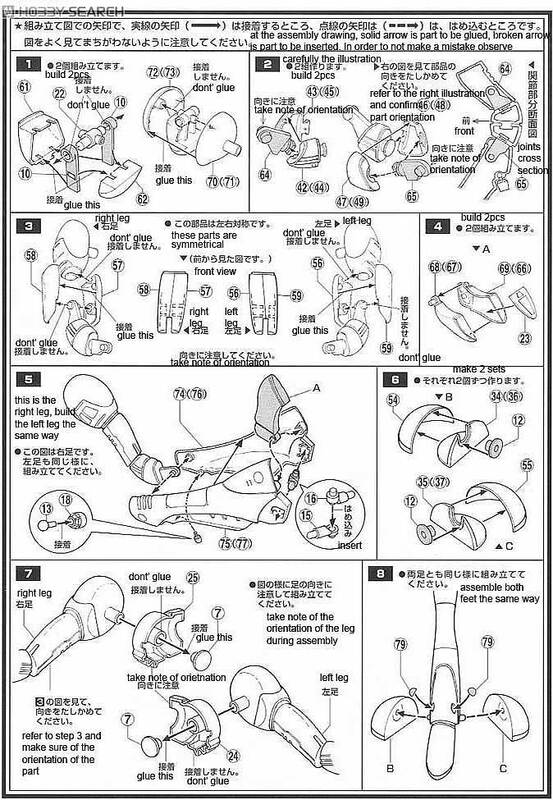 Guessing from this there is some level of articulation with this kit. Definitely being the Macross nut that I am, this goes in the list of kits that I want to have. If you aren't satisfied with this kit, you can always go with the 1/60 HDP kit made by Yamato Toys. Its going to cost you however an arm and a leg with its almost 40000 yen price tag. I hope however that Yamato Toys will release a cheaper version of this like they did with the HDP Macross SDF-1 kit. 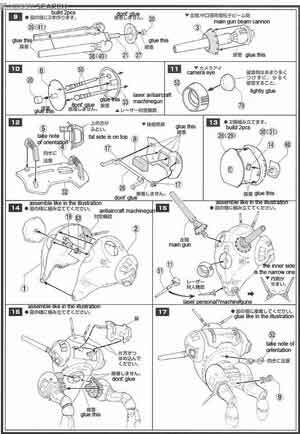 Color Guide and Manual for the 1/72 Tactical Pod Regult was translated to English from the Japanese color guide and manual posted at Hobby Search.